If you're looking to hit the slopes this winter the popular haunts in France, Switzerland or Austria probably spring to mind - Turkey probably doesn't even flag on your radar. But, think again. Turkey is home to some great ski centres and a multitude of spa resorts and history packed cities perfect for a winter break. Although Turkey may not be a well-known winter destination just yet, it's gaining in popularity. From November to April affordable flights and great accommodation deals can be found to many Turkish destinations. Winter in Turkey is a great time to visit and a wonderful chance to experience a little 'real' Turkey and one almost devoid of non-locals. Napoleon Bonaparte once said, "If the Earth were a single state, Istanbul would be its capital". There's no denying, Istanbul is one of the world's most fascinating cities worth of a visit at anytime. From December to March the skies maybe grey and the temperature hat and jacket worthy, but accommodation in central districts is affordable and easily found. The shores of the Bosphorus are quiet and there are few tourists on the well-trodden visitor trails. During the winter you can explore a less crowded city and visit the museums at ease. You can drink warm salep or boza (Turkish winter drinks) and learn to play backgammon with the locals. The cooler months are a great time to indulge in the food, shop in bazaars and get pampered in traditional Turkish baths. Istanbul is a city that doesn't sleep and during the winter you can experience all the highlights at your own pace. Tucked deep in the foothills of the Great Mountain of Uludağ less than an hour from Istanbul, is the former Ottoman capital of Bursa. Packed full of historical attractions, parks, shopping malls and amenities, it's easy to understand why people visit the city. Bursa is attractive and unique. It also has some of the best thermal spas in Turkey. Bursa is a place where you can enjoy the food - the Iskender kebabs and pideli kofte the city is famed for then soak in the medicinal benefits of a hot spring to ease away your aches and pains. Bursa is also within easy reach of Uludağ, a ski resort some 40 km (25 miles) from the city centre. Here you can ski on the 20+ slopes that are popular with the wealthy Istanbul crowd and many in-the-know foreigners looking for an affordable snowy escape. The resort boasts many great hotels, some superb restaurants, and great transport links. Both Bursa and Uludağ are popular wintertime destinations. Just an hour from the fairy tale chimneys of Cappadocia is the Mount Erciyes Ski Centre, one of Turkey's most modern winter resorts. 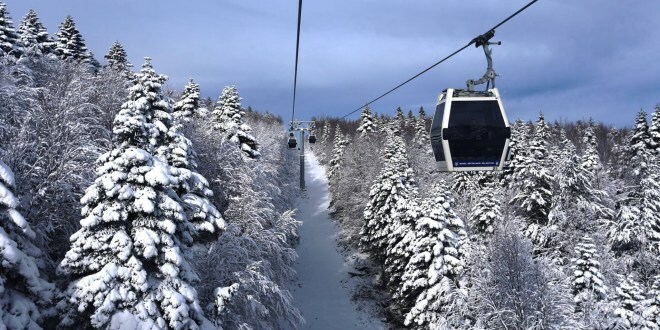 The area has undergone a revamp over recent years with high-tech cable cars, chair lifts and first-class facilities now ensuring it's one of the most popular winter destinations in Turkey. 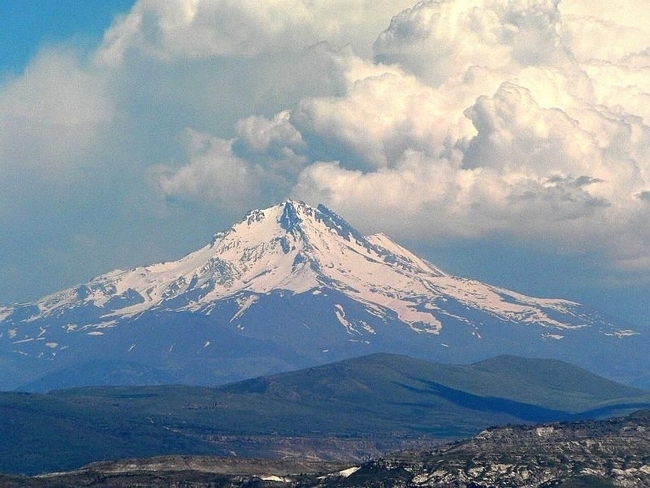 Erciyes lies within easy reach of Cappadocia and also Kozakli, a region well known for its thermal springs and healing waters. It is possible to combine visits to Cappadocia, Mount Erciyes and Kozakli all in one trip - the ultimate off-season break in Turkey. Mix a little history with some superb snow filled action in the Eastern province of Erzurum. This famous walled city dates back to 4,000 BC and has been the stomping ground for the Persians, Romans, Byzantines, Seljuks and Ottomans to name but a few. Erzurum is a large and modern city with first class hotels and attractions. During the winter the area fills with tourists heading for the impressive ski centre and 40+ runs of Mount Palandöken, just 5 minutes from the city centre. Erzurum is easy to access with an airport less than a 15 minutes transfer away. This area is Turkey's most popular winter ski destination with hotel occupancy rates hitting over 90 percent during January 2019 according to Demirören News Agency. One of Turkey's most captivating winter destinations is the north-western city of Bolu located on the Black Sea. During the summer the rolling mountains and green valley's offer peace and tranquillity to campers and walkers keen to soak in the fresh air and fabulous views. In winter the highlands become beautifully snow-capped making them ideal for winter sports and recreation. 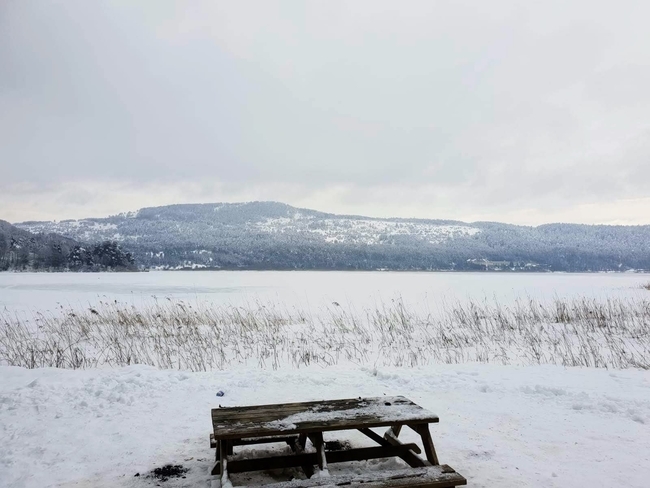 The town of Bolu is easily reached from Istanbul making it a popular destination for Turks. It's also picturesque and home to some superb restaurants and all the necessary facilities for a great holiday, however, it isn't large. Bolu centre is charming but lacks in the accommodation to contend with the growing demand. Thankfully, there are many beautiful chalets, boutique hotels and retreats tucked away on the outskirts within easy reach of the city and slopes. For those wanting to ski, resorts like Kartalkaya are ideal and offer accommodation and alpine and tour skiing from late December to March. Not everyone wants to don the snow shoes of a winter, many simply want a vacation in a fancy hotel with lots of facilities - if that's the case then head to Antalya. Antalya is Turkey's most popular coastal city with its own international airport running flights year-round. Antalya is vibrant and full of life. The walled centre offers great shopping, wonderful hotels and restaurants, and superb facilities. But, it is in the popular beachside suburbs of Konyaalti, Lara and Belek where you find the five stars all-inclusive hotels that lure in most of the tourist trade. Many hotels offer wonderful accommodation deals of a winter making them a great option for a weekend getaway with some wintertime pampering.